The stage presence and fiery live delivery of Sevendust, like wine, only gets better with time. 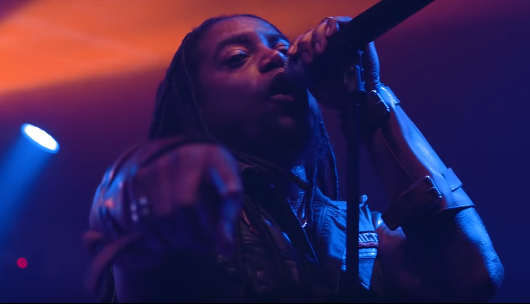 Even those of you who have never seen the band live are guaranteed to feel what Sevendust are like on stage in the new ‘Risen’ music video. The single is featured on the group’s 12th album, All I See Is War, released last spring. Put together from the pieces of Sevendust’s live shows, the video for ‘Risen’ is a must-see for fans. It captivates from the first seconds and sees Lajon Witherspoon truly own the audience. The clip was filmed by director Dan Sturge during the band’s 2018 set in London at the Brixton Academy (via Blabbermouth). Prior to the band’s 2018′ album, All I See Is War, the Atlanta-based nu-metal band released the record Kill The Flaw, which brought the band its first-ever Grammy nomination. Sevendust were nominated for the award for the song ‘Thank You’ in the category “Best Metal Performance”. The musicians finished 2018 very productively. They played three hometown shows in Atlanta at The Masquerade. In addition to that, their New Year’s Eve show was broadcast live via SiriusXM. The band performed their sophomore album, Home, in its entirety. The record, which let Sevendust reach #19 on The Billboard 200, is turning exactly 20 years in 2019. Sevendust will be hitting the road soon. Feb 1 the band is jumping onto a headlining run of the United States along with Tremonti, Cane Hill and others. For the full list of their February and March dates in the States go to this location.